Is LinkedIn poised to be the next media giant? That was the question posed by a Forbes article, published just a few weeks back, and it increasingly feels like a rather redundant question. Ever since it introduced its Pulse blogging platform, LinkedIn has rapidly evolved from a career- and network-oriented site to a truly essential platform for content marketers everywhere—a publishing outpost you can’t afford to ignore, any more than you can refuse Facebook or turn down Twitter. We could bore you with general LinkedIn statistics, of course—like how the network is now up to more than 330 million members, which is potentially a lot of eyeballs on your content—but maybe it would be more effective to share some details more personal. We’ve started publishing some of our Grammar Chic blog posts via LinkedIn Pulse, and they’ve generated hits well surpassing the 7,000 mark. We don’t mind telling you that this is a wider readership than we typically get for non-Pulse Grammar Chic blogs. We have set up several of our clients on Pulse, as well, and had across-the-board stellar results. 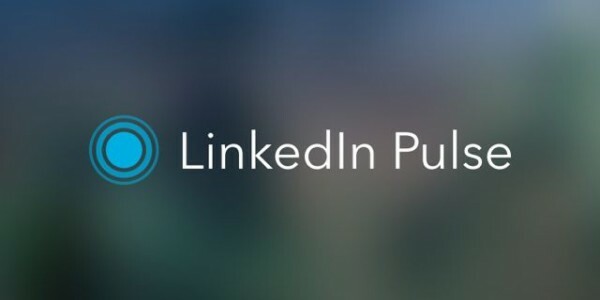 The reason for LinkedIn Pulse’s power is simple: It doesn’t just disseminate posts to your network, but to the entire LinkedIn platform. And by the way, if you’ve used Google News Search any time recently, you’ve probably noticed that Pulse posts can achieve great rankings. It’s an invaluable tool, immediately essential for content marketers and small business owners everywhere—but it comes with a couple of caveats. The first is that those 300 million (or even 7,000) sets of eyeballs are going to be pretty meaningless if they glaze over as soon as they see your post. You’ve got to have a compelling, click-worthy headline for this platform to be useful to you, just like you do with any other content marketing platform. For that matter: The entire post has to be engaging. If thousands of people are going to be reading your post, that may mean you need to step things up a notch. You can’t afford to make a bad impression with subpar writing or a generally uninteresting post. For both of these caveats, there is a simple solution: Hiring a ghostblogger to help you craft first-rate, attention-grabbing, positive impression-making posts—ones that will lead to more connections, more conversions, and a higher profile for your brand. The Grammar Chic team is proud to offer services in ghostblogging and in general social media consultation. Contact us today to learn more: www.grammarchic.net, or 803-831-7444.